Celebrate winter cycling by not giving a damn about the weather! 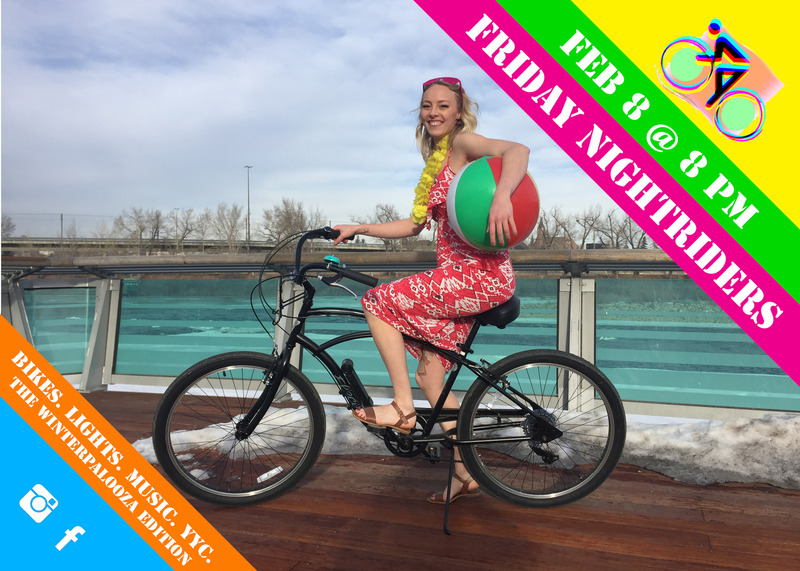 Join us for a Hawaiian themed winter nightride through Calgary. Dress warm but flowery and definitely light up that bike and your spirit. MEETING: 8 PM - Simmons Bldg (East Village). Leaving at 8:30 PM. HAVE FUN: We want you to enjoy this cool city and its bike path system! BRING A FRIEND, family, kids, granny or come alone. You will be in good company. RELAX: This is not a race, so if you are not a pro, that`s fine. STAY SAFE: Wear a helmet, follow traffic rules and bike responsibly. We want drivers and pedestrians to respect us, so let`s respect them. DID WE SAY HAVE FUN?!? **DISCLAIMER** By participating, you assume all of the risks of participating in any/all activities associated with this event.